I had the honor of delivering welcoming remarks to the most recent graduates of our Paramedic training program for U.S. Air Force personnel. 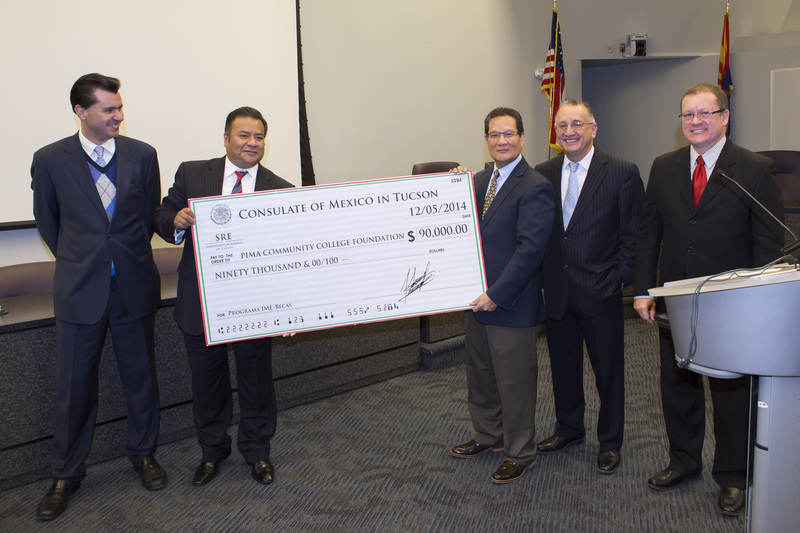 The initiative illustrates how PCC’s impact on the community reaches far beyond Tucson. So far, 113 Air Force airmen have completed the program and returned to their duty stations across the nation. 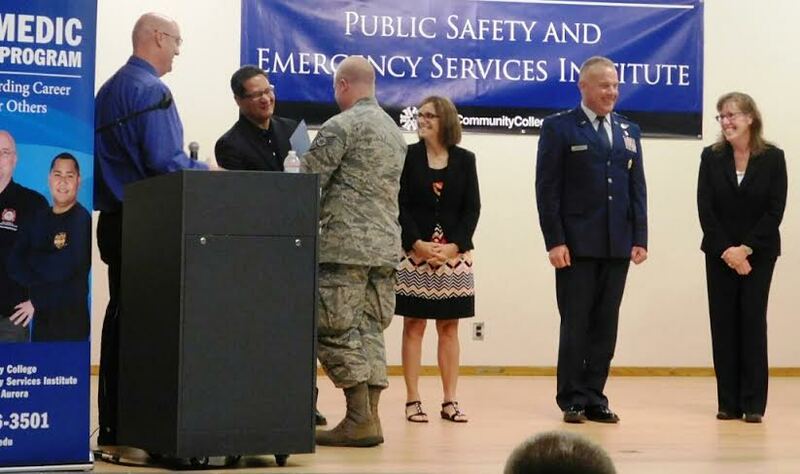 The five-year contract with the Air Force calls for 200 paramedics to be trained by PCC’s Public Safety and Emergency Services Institute (PSESI). These accomplishments and accolades are a testament to the quality of instruction and support provided by the faculty and staff at the PSESI, and I thank them for their work. Our collaboration with the Air Force would not be successful without field training provided by the Tucson Fire Department, or the clinical hours supplied through Banner University Medical Center, and St. Joseph’s and St. Mary’s hospitals. As graduation ceremony keynote speaker U.S. Rep. Martha McSally put it, in tough economic times, “We’re going to be stronger together.” Well said. This entry was posted in Uncategorized and tagged Paramedic program, Tucson Fire Department, U.S. Air Force, U.S. Rep. Martha MsSally on September 2, 2016 by pimachancellor. 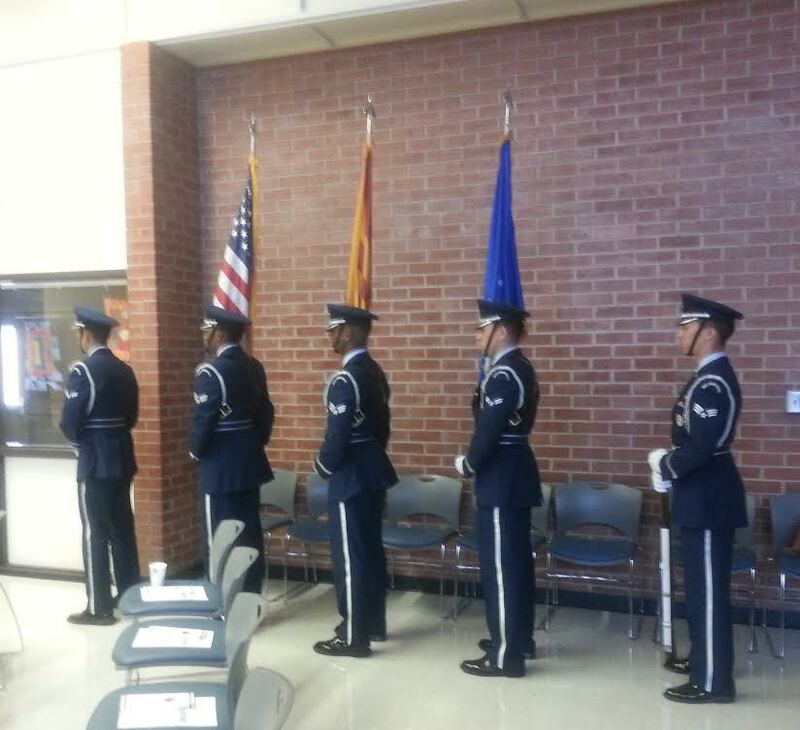 PCC is excited to strengthen its relationship with the military and veterans community of Tucson and the state of Arizona. I appreciated the opportunity to speak about my experience in the Army, and I want to note PCC employs members of the 162nd Wing in key positions. PCC is committed to enhancing opportunities for our military and veterans through education. We owe these brave men and women our best. This entry was posted in Uncategorized and tagged Arizona National Guard 162nd Wing, Drill Status Guardsmen, My Air Guard Incentives Center, Student Flight, U.S. Air Force on January 22, 2016 by pimachancellor. I recently had the privilege of attending the graduation of 21 new paramedics from the U.S. Air Force. The diverse group is the third cohort to have completed four months of six-day-a-week training at our Public Safety and Emergency Services Institute. So far, PCC has trained 71 airmen and airwomen to become paramedics under the five-year training contract the College received from the U.S. Air Force last year. I related to the new graduates that the Air Force recently recognized one of the graduates of the first cohort for saving a life of a comrade-in-arms. The impressive list of speakers included U.S. Rep. Martha McSally; keynote speaker Brigadier Gen. Jim Balserak, M.D., Mobilization Assistant to the Director of the Defense Health Headquarters; and PSESI Medical Director Dr. Andrea Herbert. Among their key messages: never stop learning. Completion of coursework at PCC gives the paramedics the foundation for future stackable credentials earned during their professional career. Like many fields of study offered at PCC, paramedicine is changing rapidly and requires constant training to stay atop the profession. 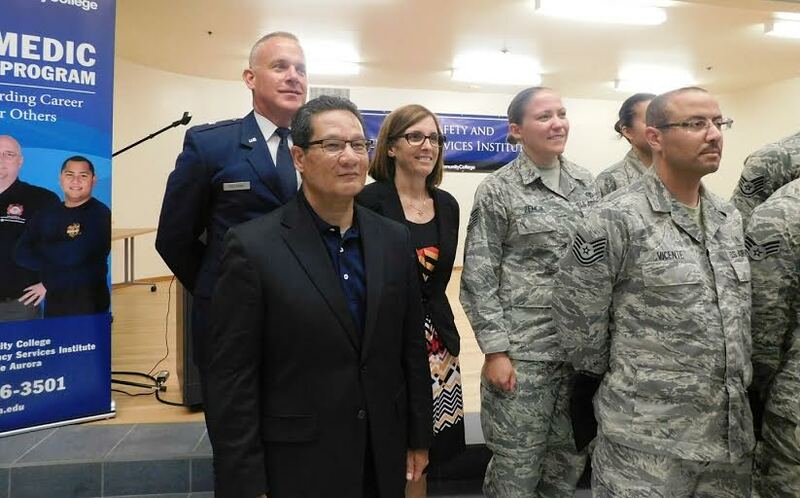 Rep. McSally called the connection between PCC and the Air Force a “cutting-edge partnership,” which is especially apt given our special relationship with Davis-Monthan Air Force Base. Congratulations are in order for our Shane Clark, Sharon Hollingsworth and the team at PSESI for organizing an excellent ceremony. I look forward to attending graduations of future classes of these great young airwomen and airmen for years to come. This entry was posted in Uncategorized and tagged Brigadier Gen. Jim Balserak, Davis-Monthan Air Force Base, M.D, Paramedics, partnerships, U.S. Air Force, U.S. Rep. Martha MsSally on August 14, 2015 by pimachancellor.